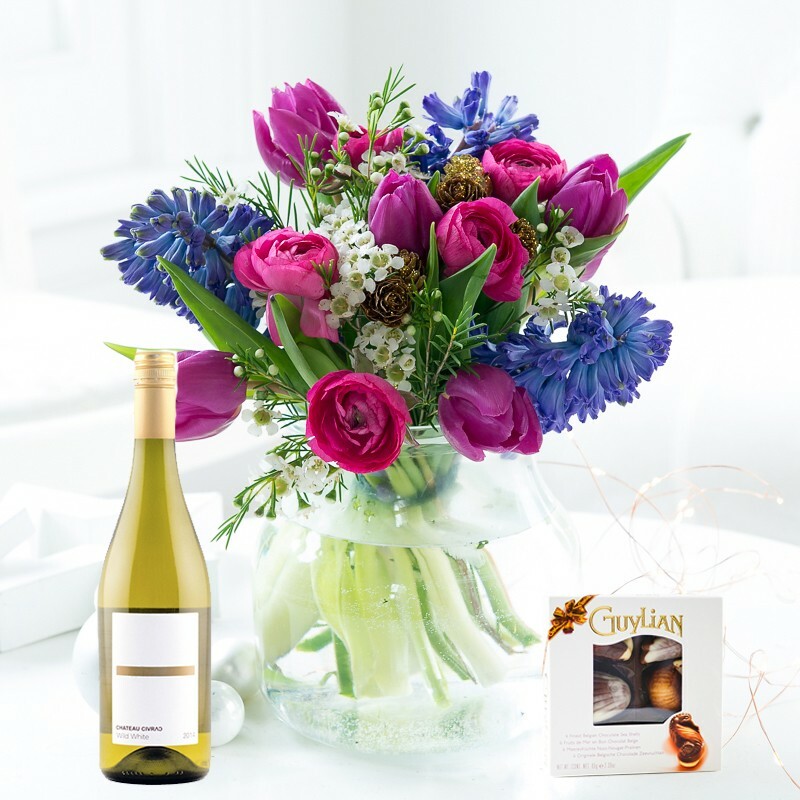 A refreshing Christmas bouquet of fragrant blue hyacinth, purple tulips and festive glittered pinecones. Free Standard Delivery: Order by 4pm for next day delivery. Sunday and Tuesday delivery unavailable with this courier. This method is untracked, so may arrive 1 day either side of the nominated delivery date.